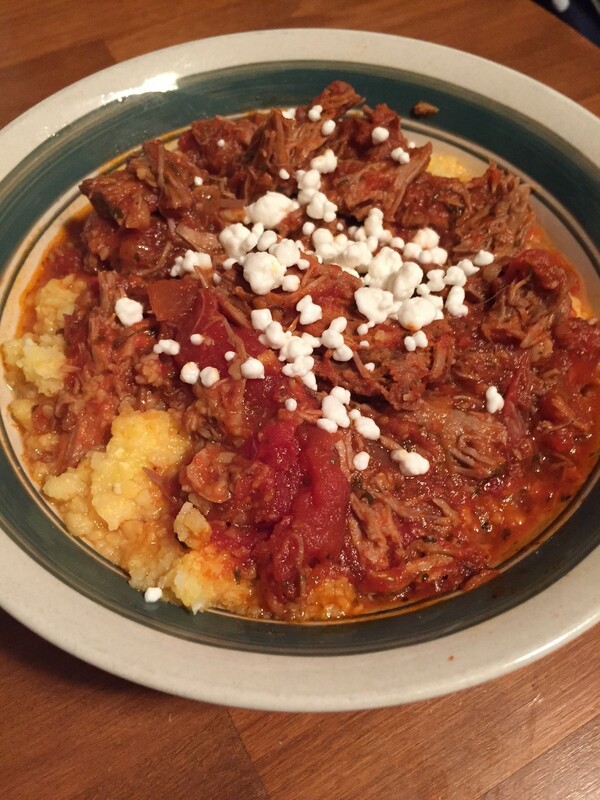 It’s officially fall and the time for warm, easy crockpot meals is here! 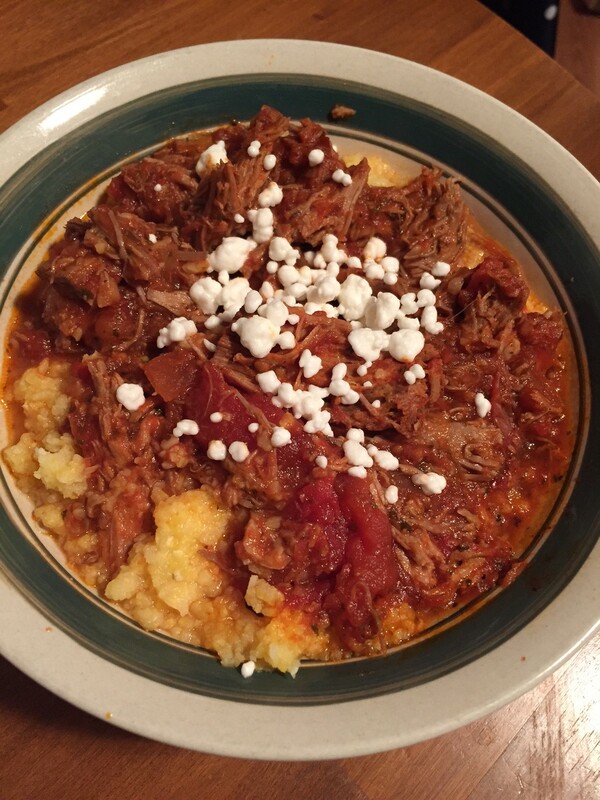 This recipe was so easy and the perfect comfort meal. I think next time I might add some more spices or veggies to amp up the flavor of the sauce. I didn’t drain the tomatoes, and I felt the sauce wasn’t thick enough, so my advice would be to drain them. But I just like things extra sauce-y, so maybe it was just me. 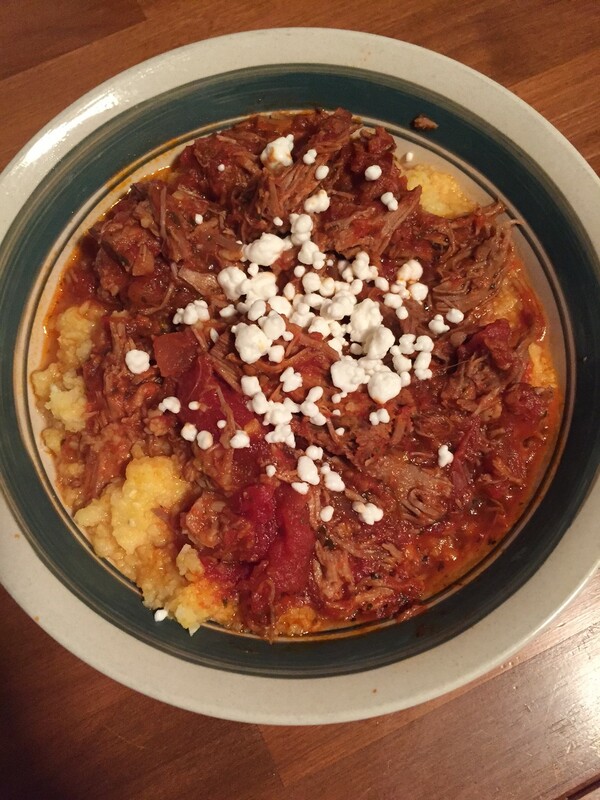 I topped with goat cheese and served over polenta. The roast gets very tender and shreds apart – yummm! 1.) Add beef to crock pot. Add rest of ingredients up until tomato pasta. Stir well and cook on low for 7-8 hours, or until beef shreds easily. 2.) Cook polenta according to package instructions. 3.) 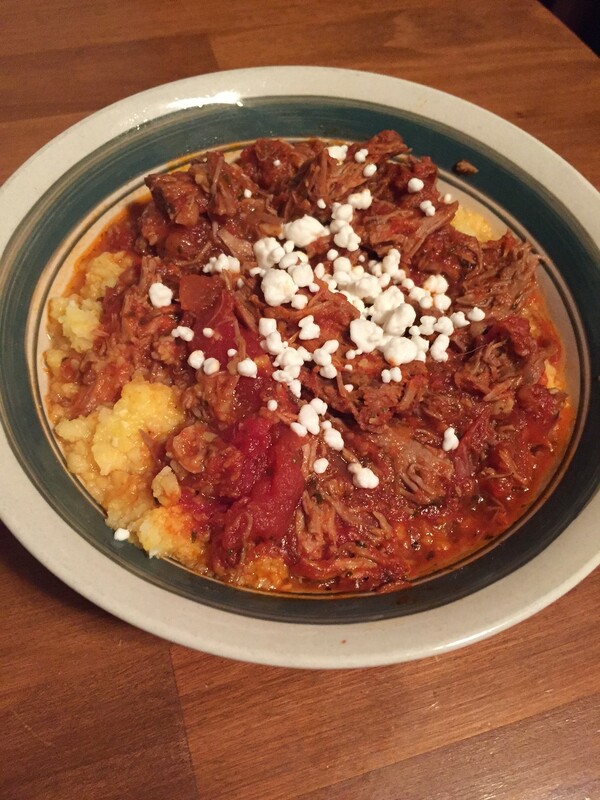 Top a heaping scoop of polenta with beef mixture and sprinkle with goat cheese. Enjoy!